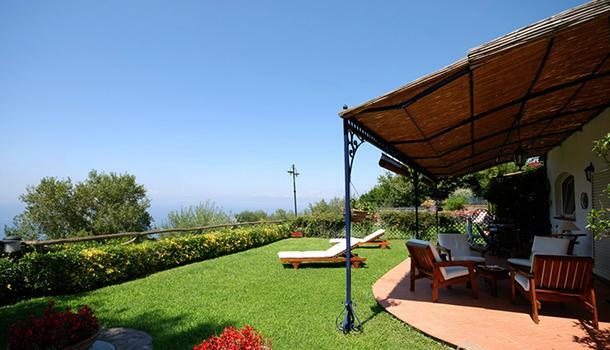 The apartment 9147 is one of the four elegant apartments belonging to Villa Noialtri. Villa Noialtri lies in the hills around Massa Lubrense inside large grounds with a beautiful view of the Gulf of Naples, and is surrounded by a large, well-tended garden, full of flowers and Mediterranean plants, with several areas furnished with tables and chairs allowing you to enjoy the panorama of the sea and to dine outside. The hills around Massa Lubrense are well-known for their many small villages and hidden angles that often allow you to make some wonderful discoveries: such as the many panoramas overlooking the sea and the island of Capri and the views of the Gulf of Naples dominated by Vesuvius, along with the excellent local restaurants and the genuine welcome given by the natives. 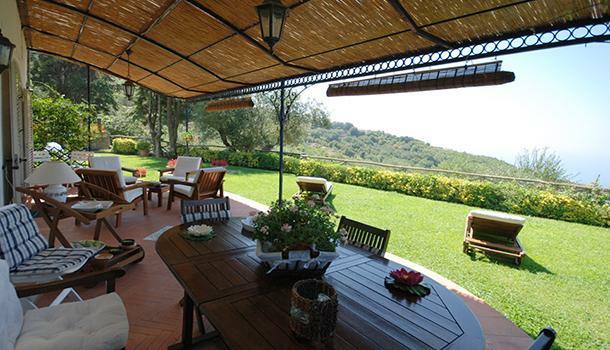 Each apartments has its own entrance straight from their own private gardens. 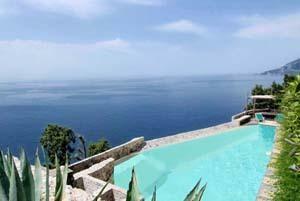 The apartments share the swimming-pool measuring 5.5x12 metres and lying in a panoramic position. 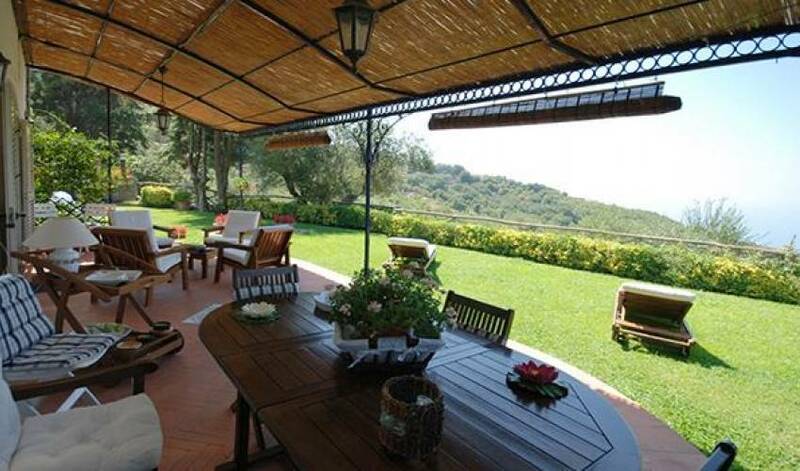 Apartment 9147 is on one floor from which there is directly the access to the patio and the panoramic garden. 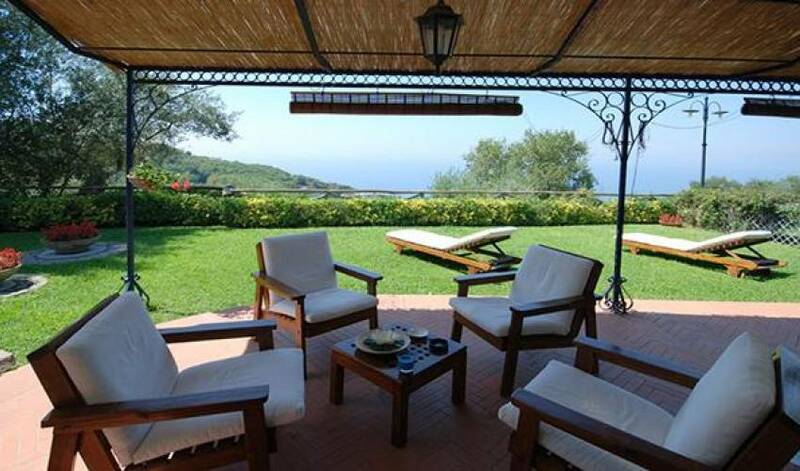 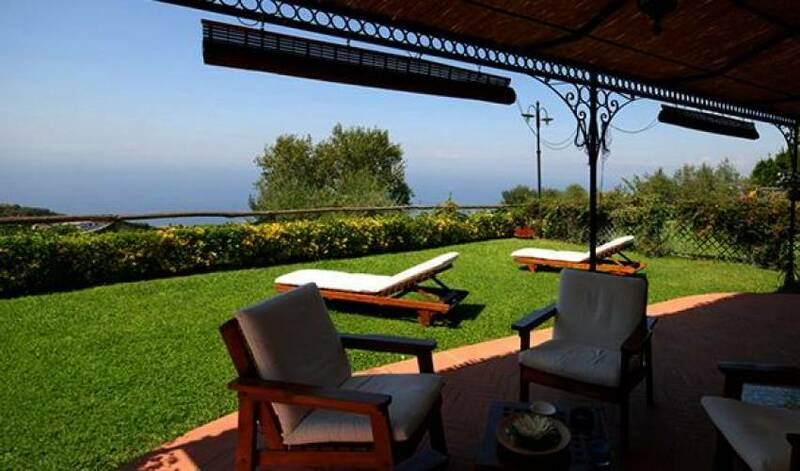 It is modern and comfortable, furnished with taste, equipped with TV, barbecue, washing-machine and dishwasher, and besides having its own private area in the garden, it has its own large, private terrace with garden furniture from which you can enjoy the most beautiful view of the Sorrento coast. 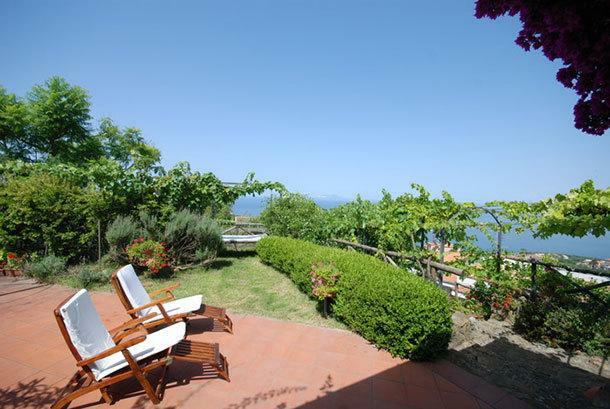 The nearest beach is about 3 km away at Marina del Cantone (Nerano). 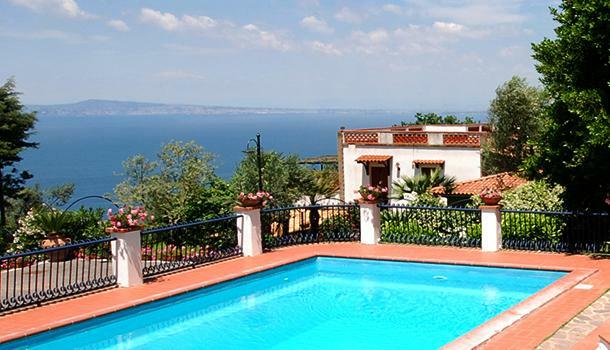 Sorrento is about 10 km away. 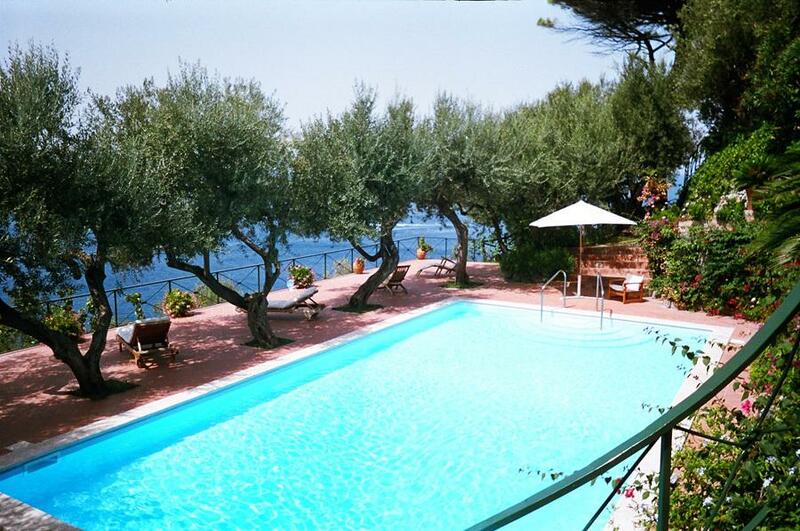 Sporting Activities nearby: diving in Marina del Cantone, horse riding at 500 mt from the property. The apartment is accessed via the private garden. 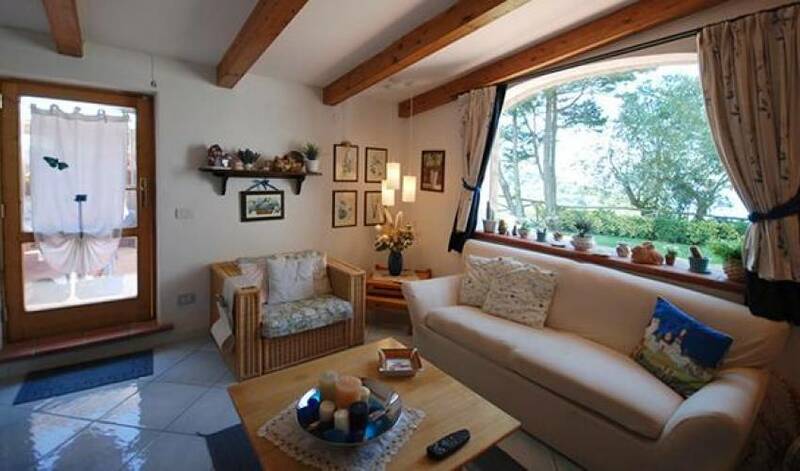 Ground floor: large living room with access to outdoor area furnished with table, deck chair and barbecue, kitchen, 1 double bedroom (no window), 1 double bedroom, 1 bathroom with shower, 1 double bedroom, 1 bathroom with shower, 1 double bedroom, 1 second bathroom with toilet and washing machine.